As a new dental practice in Portland, at Wildwood Dental we work with new equipment and dental technology to help achieve your best treatment outcomes and also cut down on waste! 100% Digital x-ray Sensors – Our new digital sensors allow a far lower exposure to radiation compared to old style film x-rays, bringing it down to minimal levels. They allow us to see the images immediately, and also eliminate the need for wasteful disposable films. 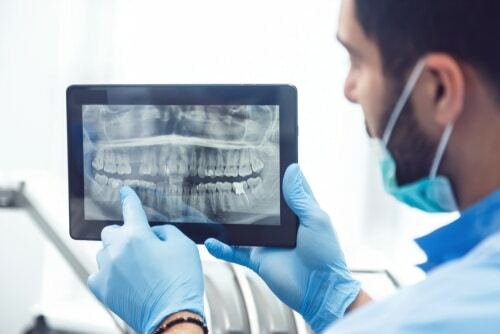 Panoramic x-rays – These x-rays allow us to see all of your teeth and surrounding bone in one image. They help us make a complete diagnosis and ensure we can recommend the most appropriate treatment for your dental health. Our panoramic x-rays are 100% digital.